Not a lick of grilling in this post. This is old school Julia Child French cooking and it is a winner. 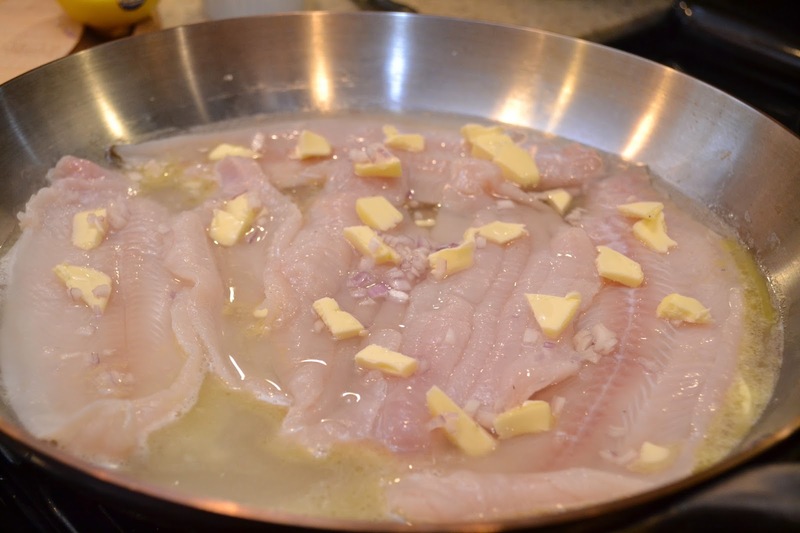 In the South we would probably call this boiled fish and gravy but turns out it is fancy. This is excellent and we will make this again. The sauce is rich and creamy and I want to put it on everything. Found this recipe and followed it more or less. 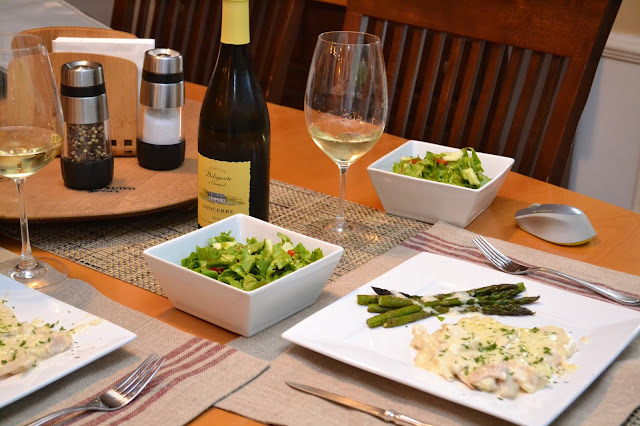 Check out this great post at FoodsOfOurLives for this Julia Child classic. 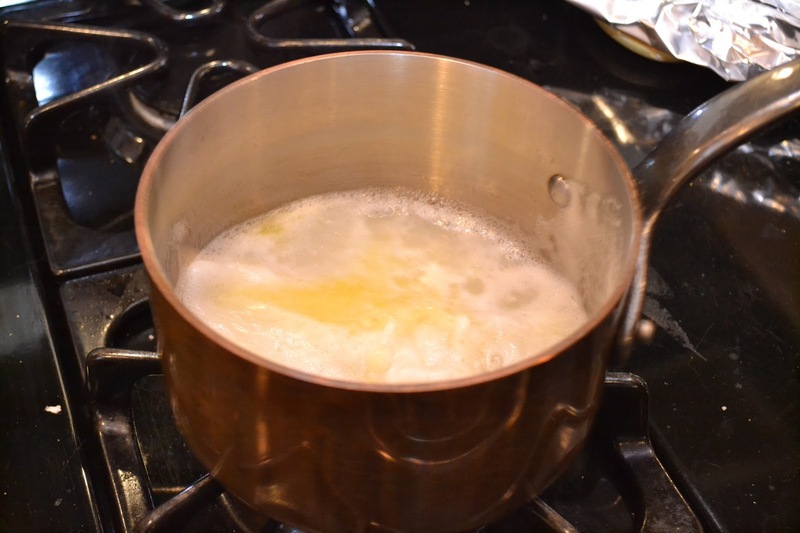 Pour off the liquid from the sauté pan and boil it down until only one cup remains. Then set the liquid aside. 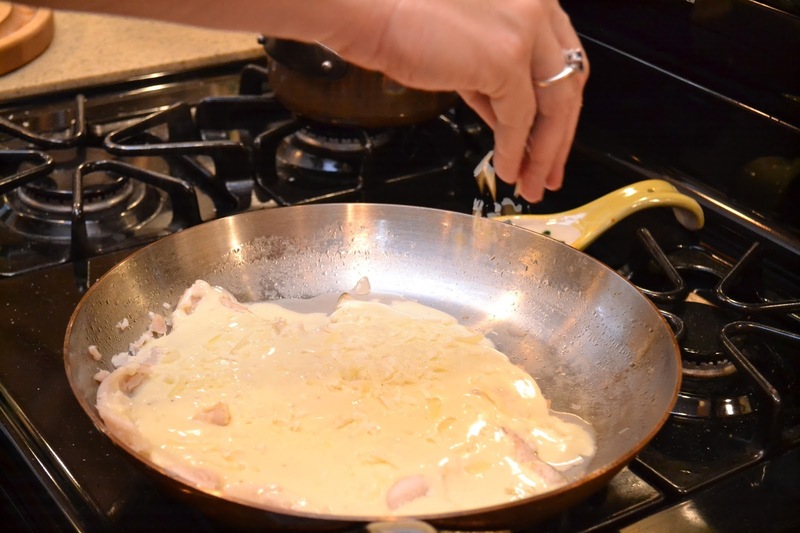 Melt 3 tbsp of butter into the sauce pan and add the flour and stir until combined. 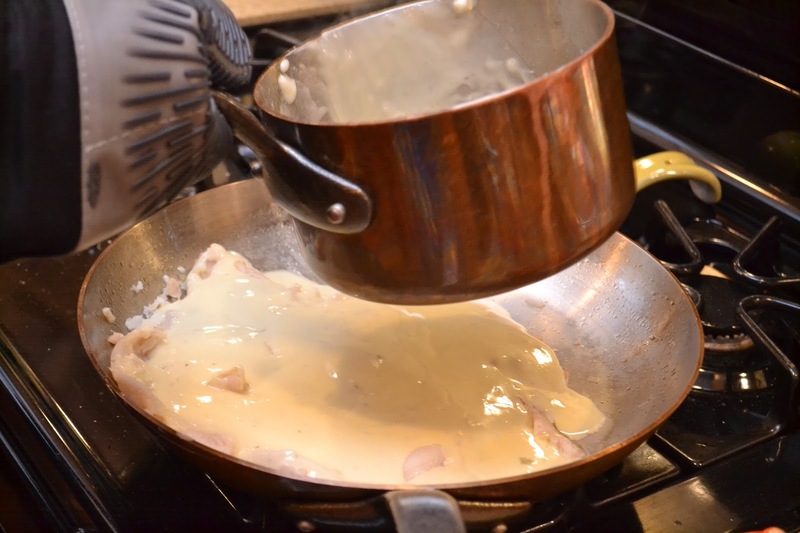 It is a Roux, people. 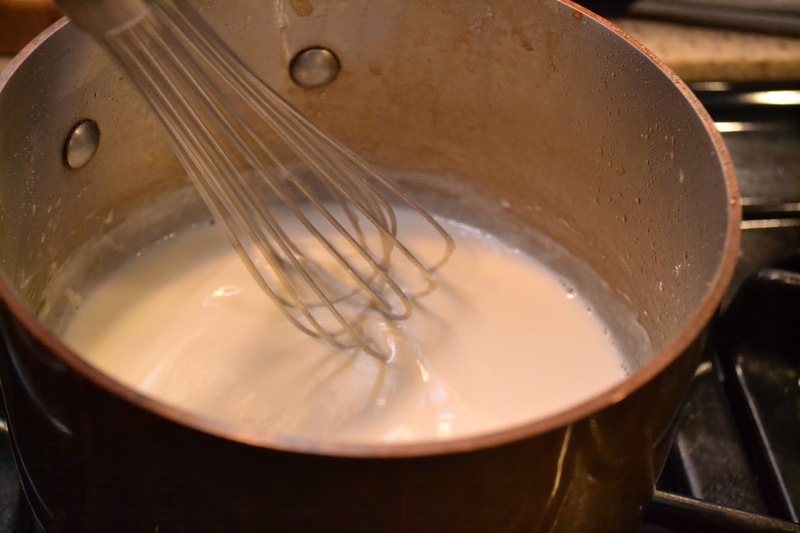 Then pour in the reserved fish stock liquid and the milk and whisk until thick. 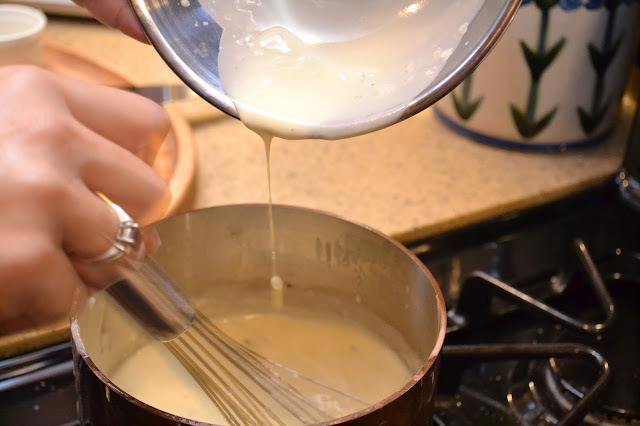 We think this would make it a Velouté - mother sauce. In a mixing bowl add the egg yoke and cream and then slowly drizzle about a cup of the hot liquid into the mixing bowl while mixing (this is called tempering). Then slowly add it all into the sauce pan. 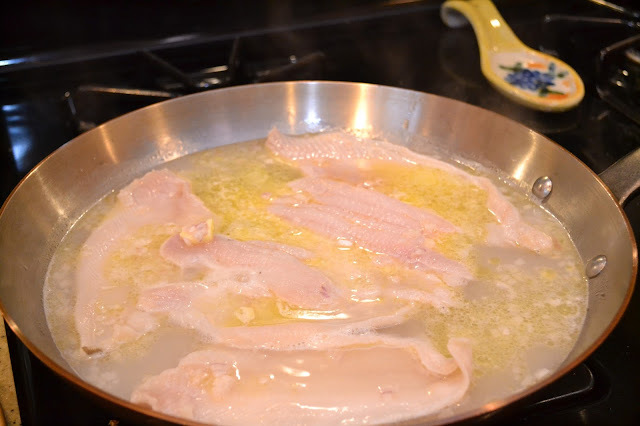 Then pour the sauce over the fish. We added the sauce to a few freshly grilled asparagus. 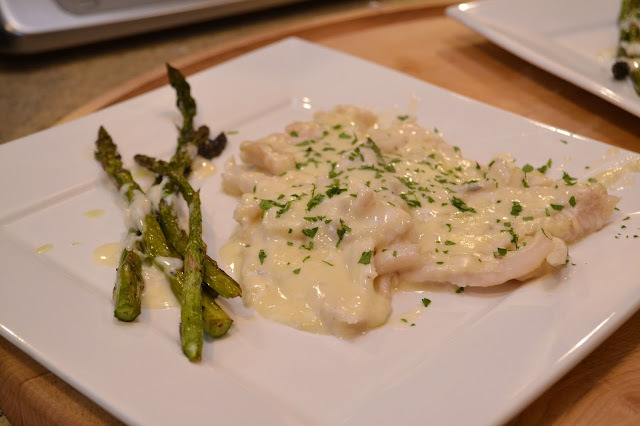 I can't tell you how great that thick and creamy sauce is with the poached fish and the lemon juice makes a nice acid addition. Go make this.